Most low-cost airlines sell non-refundable tickets for cheap flights. Except for a few clearly-defined situations, which in most cases are limited to the unpleasant circumstances of the passenger’s death or the death of a person closely related to the passenger, low-cost airlines don’t reimburse people for tickets sold.. In the case of the death of a passenger or a person related in the first line, it is necessary to provide the ticketing agent with a death certificate before reimbursement can be considered. In the case of the death of a passenger when that passenger made payment for the ticket, a potential refund becomes an inheritance matter and can be paid out only after a court judgment or a settlement is reached. If a passenger requests a ticket refund before the flight, reimbursement of taxes and airport fees is included, as those taxes and fees are not paid by the airline. However, in most cases, low-cost airlines do not refund those amounts, as they usually charge an administrative fee for processing the request for reimbursement of taxes and fees which equals the value of the taxes and fees. Can you return your ticket due to illness? Low-cost airlines provide for returns of flight tickets only in specific situations, but if you declare inability to travel due to sickness, your case should be considered individually. Even if the Terms and Conditions do not provide for any reimbursement in a given situation, it is worth checking if the carrier might try to accommodate the passenger’s needs. When requesting a reimbursement, you have to provide specific documentation confirming your inability to travel. When this data is sent to the eSky office our employees then deal with contacting the airline. The Terms and Conditions of tickets purchased for regular scheduled flights strictly define situations in which it is possible to resign from your seat and what reimbursement is owed in such cases. For most – but not all – airlines, even if the Terms and Conditions do not provide for reimbursement of fare for the flight, you can still try to recover taxes and fees. This is usually only possible when you do not use the entire flight. 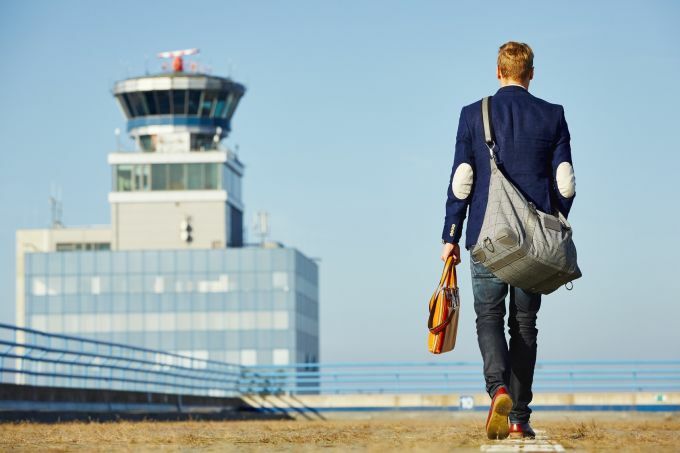 When using only part of your connections, reimbursement of the unused part of taxes and airport fees can be difficult, if not impossible. For the seamless return of airport fees and taxes, your inability to board the flight should be reported before its scheduled departure. Apart from reimbursement of airport fees and taxes, some airlines also provide for the return of fare for carriage – either full or partial. Inability to board a flight can be reported to the Customer Service Call Centre. Return of a ticket on the day of its issuance is possible in some airlines. This operation requires contact with the Customer Service Call Centre. From the next day on after the ticket has been issued, tickets for regular scheduled flights can be returned only in cases provided for in the fare’s Terms and Conditions. Some fares on specific routes provide for a full refund in case of denial of a visa. To learn if a ticket you are interested in offers such a reimbursement, contact the Customer Service Call Centre. Can you return a ticket due to illness? Most Terms and Conditions of regular scheduled flights limit cases of reimbursement of the cost of a flight (if the fare does not provide otherwise) to the unpleasant circumstances of the death of the passenger or a close relative. However, in exceptional situations, when a passenger cannot take a flight they can file a request with the airline for consideration of reimbursement, even if the fare for the ticket purchased does not normally allow this. Such a request needs to be backed by a specific reason, and special medical or official documentation needs to be attached. These documents can be sent to an employee of the Customer Service Call Centre, who will forward them to the relevant office of the carrier. Please keep in mind that each request for reimbursement due to inability to board a flight is considered on an individual basis, and airlines can refuse to refund your fare. The best way to protect yourself from losing money in such cases is to purchase flight insurance. Insurance for reimbursement of costs related to flight cancellations can be purchased in the ‘Insurance’ section of our website.